HubSpot is an industry-leading inbound market platform, a supergroup of automation tools to make your life as a marketer easier and much more effective. With 30,000+ customers across 90 countries, HubSpot is already a global success. However, many brands are in need of support when it comes to adopting the platform. Working with an HubSpot partner agency can make implementation far quicker, simpler and more focused around long term business goals. HubSpot is an inbound marketing and sales platform which helps companies to attract visitors, convert leads and close customers through a combination of clever tools, which enable collaborative, innovative and flexible working between marketing and sales teams. Six & Flow is proud to be a diamond tier HubSpot partner agency, the first in Manchester and one of only a few across the whole of the UK. We’re also the first officially Certified HubSpot Trainer in the UK, and host of the Leeds HubSpot Users Group. Our team has worked closely with the industry-leading marketing automation platform from the agency’s conception, and we haven’t stopped learning since. We're overachievers, completing every certification in HubSpot's training academy and attending regular coaching sessions in the company's Dublin headquarters. If you're looking for a UK HubSpot partner agency to support your inbound marketing, look no further - you've found us. Why work with Six & Flow as your HubSpot partner agency? Sales process are repetitive and sales people don't often follow up. We use HubSpot as part of our sales enablement process, automating more value for your business. We work with our clients to pinpoint and qualify exactly who their target personas are. Using structures like MBTI, we deliver content that resonates with them. We're a rare UK HubSpot partner agency that can also help you develop your site on the HubSpot CMS. We're one of those select few. You can read more about why you should use the CMS here. We believe in content - it can have a massive impact on your bottom line. But content can stretch much further than just blogging. Video, animation, interactive, we use it all. Everything we do is tested, improved and tested again. The right stats are important and we improve them with constant testing. All the data you need is in HubSpot. We're an award winning agency, not just based on our ability to write an award entry... but on real client impact, globally, as judged by HubSpot. As a diamond HubSpot partner agency, we can’t say enough good things about the inbound marketing and sales platform. In simple terms, HubSpot is a software platform that supports inbound marketing and sales activities. It includes tools for social media marketing, email marketing, content creation, web design, audience segmentation, search engine optimisation, marketing automation and web analytics. Pretty much everything you need to run an inbound marketing campaign is wrapped up in one neat package - and better yet, all of these different tools interact with one another to provide the user with a really holistic view of their overall marketing campaign. For instance, you can see how much web traffic your social posting has led to your blog. You can also see which blogs achieve the best click through rates to your calls to action, which calls to action generate the most new leads, and what web pages your leads visit on their way through the buyers journey. HubSpot also has an inbound sales dashboard which includes lead activity notes, performance tracking, deal forecasts, meeting links, email templates and more. HubSpot’s sales dashboard essentially makes marketing to sales alignment totally effortless, and takes all the information you've gathered on a marketing lead through to their journey as a sales prospect. In addition to this, HubSpot's Content Management System lets users build, host and optimise websites directly on the HubSpot platform. HubSpot even offers integrations with third party systems such as Salesforce, Eventbrite and SurveyMonkey, so you can connect everything together. We can even implement custom integrations for unique client needs. Inbound works best when everything’s connected. Sales and marketing departments work best when their activities are aligned. While inbound marketing and sales can be performed using a Frankenstein mix of WordPress, Hootsuite, Moz, Google Analytics, Outlook, personal diaries and a lot of post-it notes, this is often inefficient and exhausting. 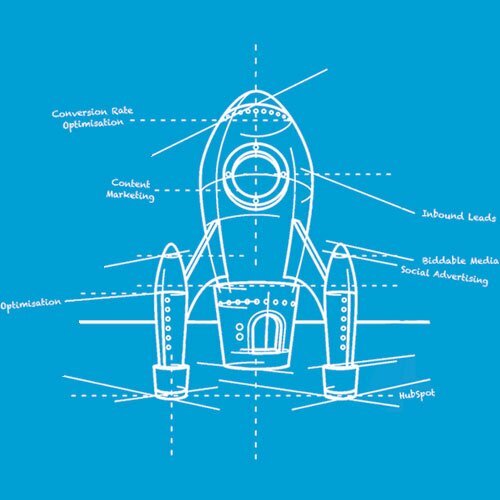 Winging your way through an inbound marketing campaign can also put you at risk of missing what’s working and what isn’t. Six & Flow is proud to be a UK HubSpot partner agency - in fact, we've been a HubSpot agency pretty much since conception. We are the very first diamond tier agency in Manchester, which puts us among the most experienced and committed partners in the country. Our team is truly passionate about HubSpot, and we like to think that HubSpot loves us back in return. We’ve formed some great relationships with the global HubSpot partner team, and we have a deep level of knowledge too. 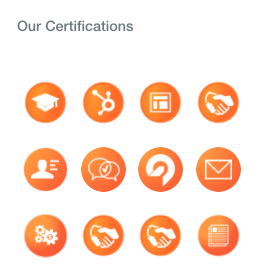 Just look at how many HubSpot certifications we have under our belt! With years of experience in using the platform, we truly believe it’s the best option out there. Our team of inbound marketing specialists is well-versed in using HubSpot with clients across a range of industry sectors, particularly within the B2B world. 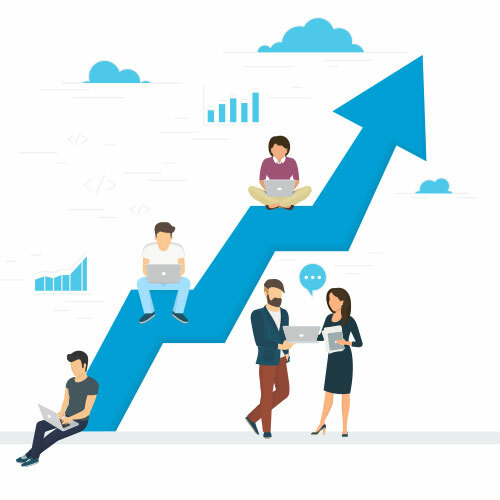 We set up HubSpot campaigns tailored to unique business needs, helping clients to reach the next stage of their growth by generating new leads, converting more sales, entering local and international markets, and nurturing strong long-term relationships with customers. From customised marketing automation workflows to email templates written for individual salespeople, we provide a truly personal approach. We know that HubSpot's tools work best when they reflect your unique brand voice, and we won't use marketing automation to turn you into a robot. Why would I need to work with a diamond HubSpot partner agency? HubSpot benefits from continous improvement in the way of regular updates and additions to its offering, ensuring that it keeps up with fast-changing marketing trends.The platform also includes a training academy full of videos, guides and certifications which customers can use to improve their practical knowledge and utilise the platform to its full potential. This all helps to ensure that customers can keep up with fast-changing marketing trends. However, it can get a little overwhelming for time-poor marketing managers and pressured sales teams. Not everyone has the in-house resources to manage a full HubSpot implementation across sales and marketing departments, provide training sessions, and plan out a detailed inbound campaign on a paltform they have no prior experience with. That's where we come in. We've worked with clients who need help with the initial HubSpot implementation, and others who work with us closely on a long term retained basis. Whatever strategy works best for your business, we can fill this role. 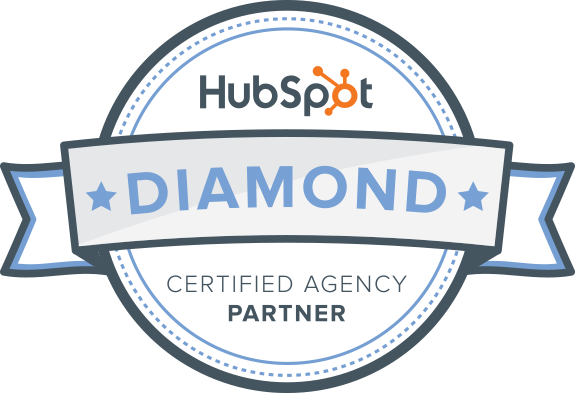 So, how does a diamond HubSpot partner agency work? Using HubSpot involves more than just doing some SEO, content marketing or social. It's about being helpful to your clients and guiding them through your sales funnel. Below is an outline of how we as a platinum HubSpot partner agency turn strangers into customers and customers into your best salespeople. Without these guys introducing us to HubSpot and supporting the integration within the business I dread to think where we would be today. Nothing is too much trouble and every answer is only a phone call away. Can't recommend Six & Flow highly enough! Want us to take a look at your website and give you some direction of how you can make it drive more leads? It's free and we'll give you some actionable suggestions you can take away with you. We can also discuss how HubSpot's sales and marketing automation might fit into your wider business strategy. Fill in the form and we'll get back to you as soon as we can.